Bring a friend and learn a little about meditation. The lecture is about 20 to 30 minutes followed by a 20 minute guided meditation session. You’ll enjoy the gong, some soothing music in our serene meditation room while being guided through a simple relaxation process. Many contact us very eager to learn the practice of meditation. They talk openly about feeling chronically anxious and worried. That’s a very difficult way to live, especially when you know how meditation can address and eventually eliminate this condition. Others want to learn greater control of the mind or reduce their emotional reactivity. Again meditation is a great solution. Even wanting to grow spiritually is an excellent reason to develop a meditation practice. Before one commits to a course here at Meditate, we encourage you to come for a free lecture and a guided meditation given by our meditation instructor, Andrew Shykofsky. These Saturday morning sessions are the perfect way to get a feel for our location, the room and the style of meditation we teach. Andrew teaches a method of meditation known as BMEM (Body Mind Emotions Meditation) Click here to read more about BMEM. The format for our Saturday morning class and meditation is simple. 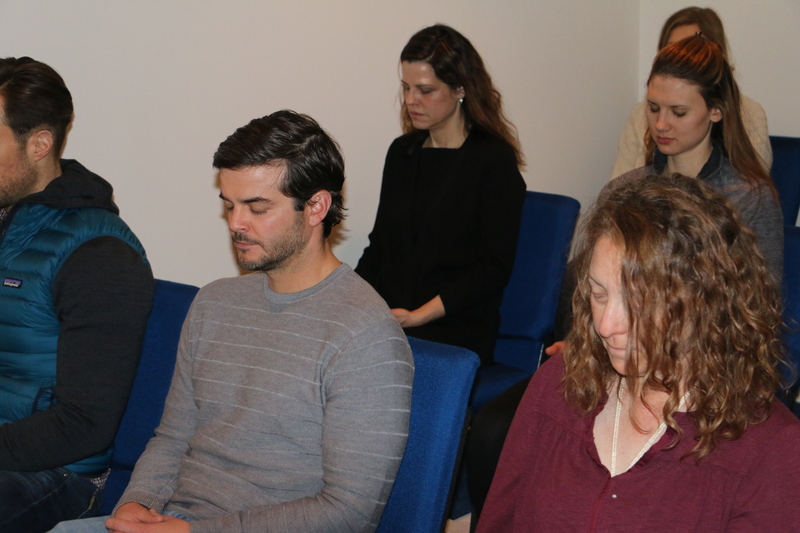 At 9:30 am you will hear a 20 – 30 minute lecture introducing some basic concepts about meditation. Questions are encouraged! Then we will lower the lights, hit the gong and move into a relaxing guided meditation that lasts 20 minutes. You will feel relaxed and centered when we’re finished.